Experience BOLT’s new Harmonics Synthesis engine with its rich, organic sound and lots of unique character – no traditional filter required. 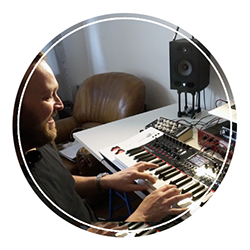 No PhD in sound design required: Rediscover the fun in tweaking your own sounds with BOLT’s streamlined user interface. 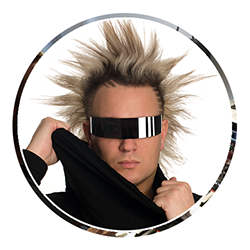 BOLT comes with 500+ factory & artist patches for all kinds of genres. From lush pads to deep basses – and screaming leads to sound effects. 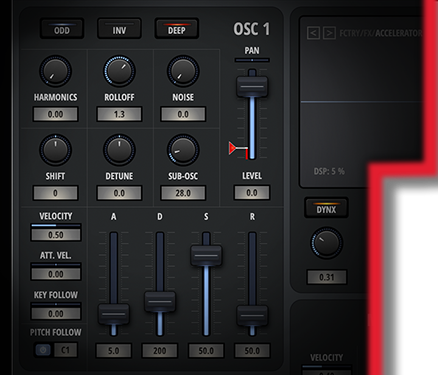 BOLT’s synthesis engine generates a sound’s overtone structure directly in the oscillator. So you won’t find a filter section like in typical subtractive synthesizers. 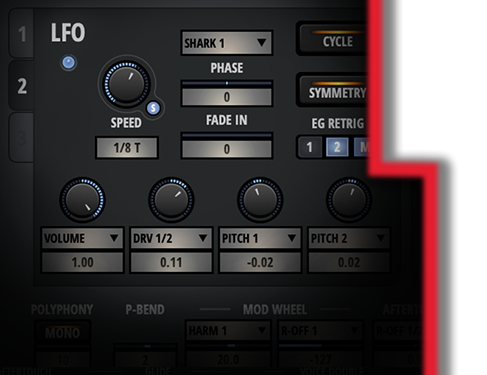 The unique Harmonics Oscillator takes care of it all – just by turning the HARMONICS and ROLLOFF knobs you change a wave’s shape and core sound from subtle sine to bright pulse chain. ODD switches the oscillator to create odd harmonics only, If you additionally bring in DEEP, you will notice the waveforms to resemble saw or square shapes (with ODD active). In addition, each oscillator has its own amplitude envelope. So all you need for creating the core sound is right there! 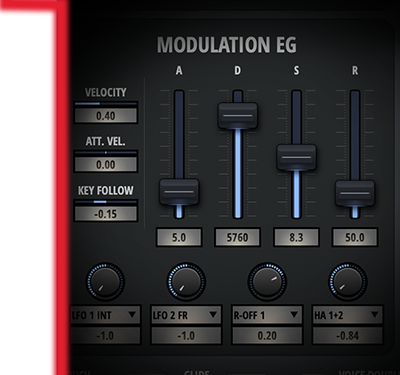 Sounds come to life with modulation: So BOLT offers four powerful modulation generators. 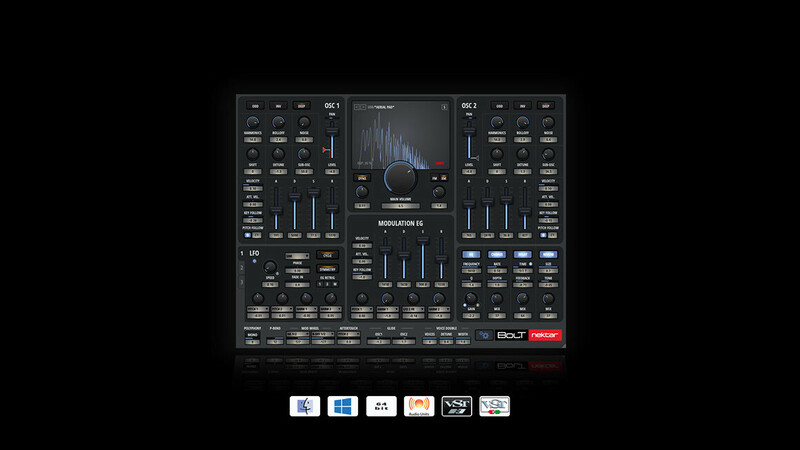 Its 3 LFOs and one Modulation Envelope Generator ensure a host of modulation possibilites. 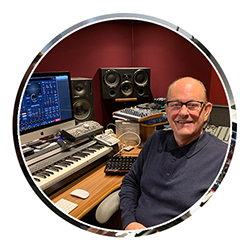 No matter, if you are after snappy transients or would like to modulate different aspects of the sound all at the same time – you can do all of that and more. The modulation generators can even modulate each other if you want to push the envelope. The best is, that it’s easy to experiment: Modulation Targets are pre-assigned, so you simply need to bring up a target amount to hear an effect. The MODULATION EG is modeled after classic ADSR envelopes and cover a range from ultra-snappy and percussive to lush sound scapes. The 4 modulation Targets can be assigned to many destinations, including LFO Frequency and Intensity. 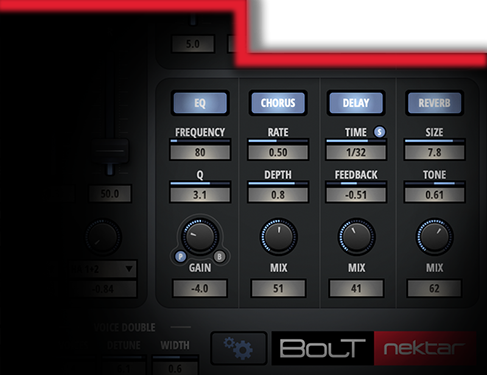 BOLT’s Low Frequency Oscillators go beyond the range you’d expect from a typical LFO. They offer an extended range from 0.01 Hz up to 10 kHz. So they go well into the audible range which allows for some extreme modulation effects, including amplitude and frequency modulation. Four integrated effects processors ensure that BOLT’s patches are ready to be dropped into your productions: EQ, CHORUS, DELAY and REVERB provide the essential effects at your fingertips. The effects are optimized ease of use, only 3 parameters per processor ensure you’ll get to results quickly. Still you’ll find enough tweakability including tempo sync for the DELAY or parametric and bandpass modes for the EQ. There’s a lot more we could say about BOLT – but it’s all about the sound isn’t it? So download your trial version and listen to it yourself! • Computer running Windows (64bit) version 7, 8, 10 or higher or Mac OS OS X 10.9 or higher. 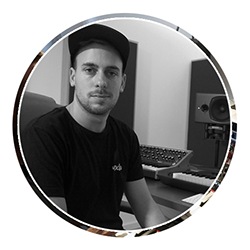 • Any host DAW application with support for VST 2.4, VST 3 or AU Instrument Plug-Ins.